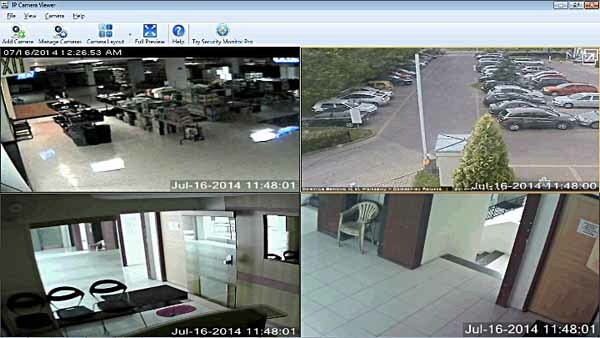 Free download IP Camera Viewer latest version. IP Camera Viewer allows you to view live video from your USB or IP cameras on your PC. Use any USB or IP camera is to keep an eye on your home, office, parking area or anywhere you need security. You can control and view up to 4 camera feeds simultaneously. Get a live preview from multiple cameras with this light- weight application. IP Camera Viewer’s centralized camera and layout management allows you to view your cameras from multiple remote locations on a single screen. You can change the arrangement and preview layout of the cameras, for your security needs.